The trailer tells us the storyline that it is based on the plot where a Rebel mission is assigned to steal plans for the Death Star. All this incident happens just before the events of A New Hope. Gareth Edwards is the director of the movie. He has already worked for the latest Godzilla. The film stars Felicity Jones, Riz Ahmed, Mads MIkkelsen, and Forest Whitaker. “It comes down to a group of people who don’t have magical powers who band together to bring hope to the galaxy,” Edwards said last year. 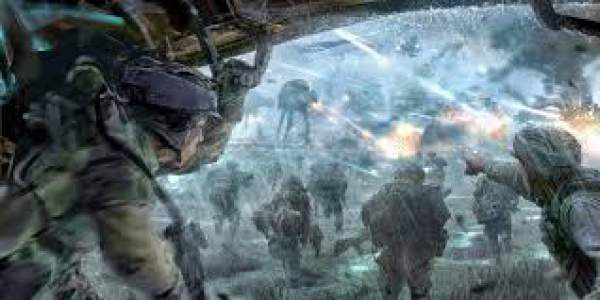 The director revealed that the film is in same universe as of the Star Wars chapters, but the only difference is that it is a self-contained story. Further, the director also revealed that Rogue One is one of the films related to the Star Wars universe but outside of the main franchise. Other such films will be prequel based around both Han Solo and Boba Fett. The film is slated to release on December 16 in the UK and US and expected to become one of the year’s biggest box office hits after Star Wars: The Force Awakens collected over $2bn (£1.4bn) worldwide.